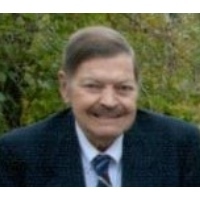 Darrell L Shahan, formerly of Zanesville, died Saturday, April 6, at the Robert Barnes Center of Wesley Ridge in Reynoldsburg, Ohio. He was born April 5, 1932 to Madge Clark Shahan and Claude Shahan in Gallipolis, Ohio. Darrell died one day after his 87th birthday. He graduated Gallipolis High School and attended The Ohio State University. He was employed 38 years at OVEC’s Kyger Creek Power Plant. For many years, he and his late wife also purchased and rented properties in the Gallia County area. In his retirement years, Darrell enjoyed gardening, music (especially Wynton Marsalis), Buckeye ball games, and traveling. For several years, Darrell wrote monthly columns for the Times Recorder; once he enjoyed being quoted in New York City’s Village Voice. He and his wife traveled to all the contiguous 48 states, Nova Scotia, British Columbia, and several European countries. They also enjoyed spending most winters in their little abode in Bradenton, Florida. In addition to his parents, he was preceded in death by his first wife, June Jenkins Shahan, a half-sister, Virginia Rotroff, a cousin, Jewell Martin, a sister-in-law and brother-in-law, Nancy Comer King and Bill King. He is survived by his wife, Norma Comer Farquhar, a daughter, Melody June Shahan, a step-daughter Betsey Farquhar-Bradish, a step-son-in-law, Robert Bradish, a step-grandson, Joseph Bradish, a step-granddaughter, Ann Bell Bradish, a step-grandson-in-law, Justin Bell Randles, and step-great grandson, Kelvin Joseph Bell. Also surviving Darrell is a niece and nephew, Betty Deese and Fred Rahe, a cousin, Katie Shoemaker, a step-niece and family, Molly, Jay, and Maria Lollini. Darrell, at his request, will be cremated and inurned at Zanesville Memorial Park Cemetery with a private family burial. A memorial service will be scheduled at a later date. Memorial Contributions can be made in Darrell’s name to American Civil Liberties Union, American Diabetes Association, or National Kidney Foundation. The Bryan & Hardwick Funeral Home, 2318 Maple Ave. Zanesville is in charge of the arrangements. To share memories and condolences with Darrell’s family please click the Tribute Wall tab on this page.